The Pathagility team would like to wish all of our lab clients and partners a happy holiday season! We appreciate the trust you put in us and we look forward to supporting your success in 2017! Please note that the Pathagility offices will be closed on Friday, December 23rd and Monday, December 26th to observe the holiday and spend time with our families. How many times have you heard this mantra in the past few months: “the patient is now at the center of our business model.” It is true throughout healthcare. Any healthcare organization, from labs to hospitals to dentist offices, would be remiss to make the slightest decision without evaluating how this could possibly affect their patient clientele. Monetary-based outcomes are no longer the sole focus of the industry. Value-based care at the patient level is paramount to not only keeping your patients happy but also keeping your lab’s lights on. For labs, it can sometimes be hard to know where you can add value when it comes to patient care. It can often seem like labs are apart or set back from day-to-day patient interactions, when in reality this is very much the opposite. Labs provide upwards of 80% of the data available in patient records. They are responsible for so much of the behind-the-scenes data gathering that they have come to play a downright crucial role in value-based patient care. This is why all labs, regardless of speciality, should strive to ensure that the patient remains the primary focus above all else. So now the only question that remains is how. How can labs actually add ‘value’ to patient care? Waiting for test results is never fun – for patients or providers. Even taking the gauntlet of patient emotions out of it, here is where the lab can truly shine and provide maximum value. Increased TaTs can not only make the patient happier, they can also play a vital role in saving someone’s life. Gathering critical results and relaying those back to providers in below-average times can mean faster resolution times, faster solution planning, and even faster recovery. This may seem like a daunting task, but innovative labs can take heart in knowing that technology is at the root of the solution. 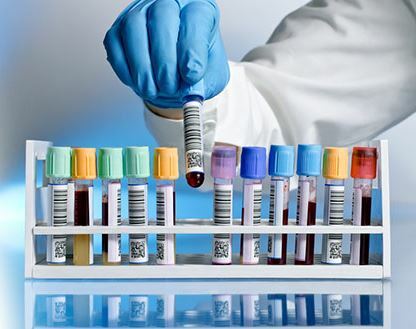 Ensuring all systems are integrated across your lab in a central laboratory reporting solution (LIMS) such as Pathagility allows employees to quickly and efficiently access patient and provider information. This not-insignificant time savings allows staff to focus their attention on critical issues and results – such as TaTs – without interruptions in productivity. Integrating various lab technologies, from LIMS to billing to lab instrumentation, allows labs to create an accurate and complete picture of a patient’s health. This in turn means that every decision – from what mix of tests to run to what physician to refer – is made with the patient at the center. Now, with all relevant information at their fingertips, providers can give the best possible care, whether during a routine visit or a medical emergency. They can also direct better care to be given in the event of a serious medical condition. 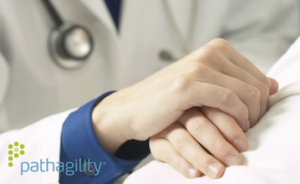 A HIPAA-compliant platform like Pathagility means patient information can be securely shared both internally with other physicians or even externally with key stakeholders or relations. This data can also be used to help diagnose health problems sooner, reduce medical errors, and provide safer care at lower costs – all with the intent to provide higher value patient care. Referring physicians see upwards of 10 patients a day – often times, even more than that. In order to streamline data transfers out of respect for their time, labs need to create readable and intuitive reports. If a physician can easily interpret records, they can quickly help patients and resolve issues. 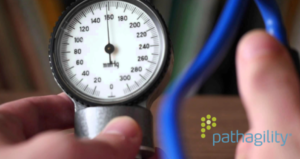 Utilizing a LIMS system like Pathagility can help you create beautiful, easy to read reports that can help determine patient diagnosis’ and physician recommendations, and can even lead to healthier patients and better outcomes. To learn more about how Pathagility can help your lab contribute to value-based patient care, request a 30-minute demo. Kara Stewart had a surprising start to her career in nutrigenomics. Before ever doing work in the medical field, Kara spent many years in the beverage services industry,helping Red Bull establish its footprint in the U.S. While Kara was helping the energy drink brand grow, her brother, Dr. Kendal Stewart, was helping patients with his medical career as a Neurotologist and Genomic Specialist. Dr. Stewart is a very gifted bio chemist with extensive background in biochemistry and the treatment of neuro-immune syndromes. As a former surgeon whose focus was skull-based surgery, Dr. Stewart decided he wanted to be a “healer”, so he made the move to focus specifically on healing neuro immune inefficiencies (such as autoimmune, autism, ADHD, migraines – anything relating to the nervous and immune systems). 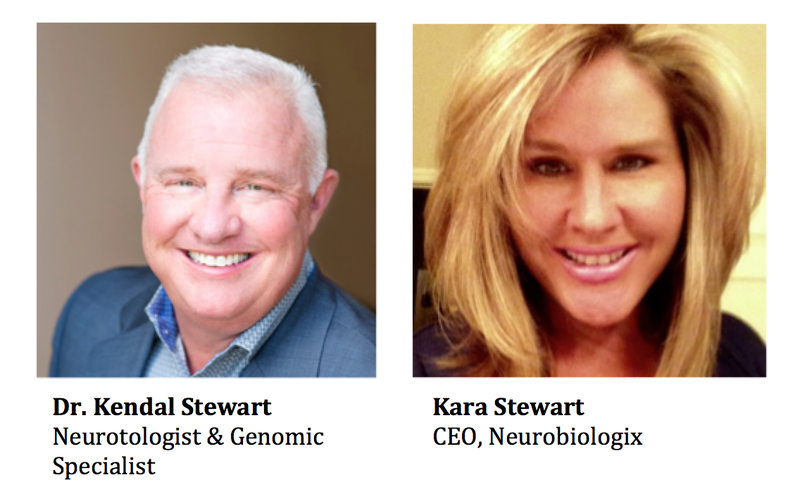 Dr. Stewart believes in genetic testing (such as PGx or nutrigenomic analysis) and mandates all of his patients, who are usually severely affected with neuro-immune disorders, take a genetic test before prescribing any medications. Genetic testing ensures that he can prescribe exactly what the patient needs – or he can recommend they take the appropriate nutritional supplements that are specifically tailored to the patient’s genetic analysis. necessary cofactors to benefit the patient, so he began to create his own formulas and developed Neurobiologix, explained below. As neuro testing has developed over recent years, the supplement formulas have been designed on specific research and analysis. Genetic testing helps doctors like Dr. Stewart understand a patient’s genetic makeup and helps recommend supplements that work best for specific gene sets. This helps the patient save money by getting it right the first time, and helps to avoid reactions from medications or wasting valuable money on unnecessary formulas that may not be best for that patient. 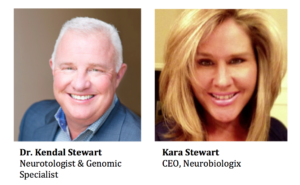 Kara knew she wanted her career to have more meaning and truly make an impact on people’s lives, so she decided to join her brother and helped him, along with a team of investors, start Neurobiologix. Kara first served as Director of Sales & Operations when the company opened its doors in 2009 and then was appointed to CEO in 2010 to build the brand along with a team of medical professionals. “Treat the source” is Dr. Stewart’s tagline. “Don’t put a bandaid on a health issue. Instead, put back in the body what is missing and help the body heal itself,” says Dr. Stewart. Why is PGx Important to You Personally? Kara and her brother, Dr. Stewart, are 7 years apart. Kara suffered from anxiety, depression and sleep issues but never made her struggles public. When she suffered from a really bad spell of vertigo in her late 20s, she finally talked to her brother about her troubles. Dr. Stewart worked with her doctor to correct her hormones and recommend nutritional supplements to help the body recover and strengthen her immune system. As a result, Kara hasn’t had a single episode in over 7 years. Throughout the years, Kara has also had multiple fusion surgeries for her back and neck and could never get through the pain using traditional prescription pain medications like hydrocodone. It was only after Kara did PGx testing that she understood why. She’s a rapid metabolizer in the hydrocodone family, but a normal metabolizer of morphine. Once she switched to morphine, her body was able to metabolize it and her pain lessened almost immediately. How Does Genetics Testing Work, and How Can I Get Tested? It’s easy for the general population to get genetic testing, but it’s still fairly uncommon for individuals to seek out the testing themselves. In order to get genetic testing, a doctor must order the tests. If you’re interested in getting testing done, you can easily search for a doctor in your area that specializes in genetics, or see your primary physician. Once the tests have been administered, the PGx report that is provided back to the physician is fairly simple (same with nutrigenomic testing). The reports are built through a reporting technology (like Pathagility), which grabs the top medications and lists whether it’s safe for that individual to take or not. The report can be taken home by the individual, and can be shared with other doctors throughout their lifetime as genes never change. According to practitioners who believe in genetic testing, PGx and genetic testing adds more accountability to the physician. Many believe the testing will save some physicians’ practices one day. This testing helps to prevent overdoses or adverse reactions, which are very common. Genes do not lie and they do not change. If a Dr. doesn’t listen and a patient has a bad reaction, then the adverse reaction may be the fault of the Dr. and they can be held responsible. 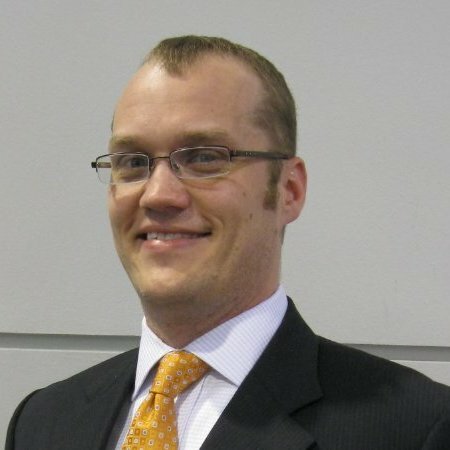 On the other hand, Dr. Stewart will review the “doom and gloom” genes that tend to cause unnecessary fear but he is interested in the genetic SNPs that keep showing up in people that are sick, and has made a customized report that evaluates 26 key and scientifically validated genetic SNPs. When given the report, a practitioner can tell a patient what nutrition or supplements each individual needs based on their unique delivery pathways. “Nutrigenomics helps us identify genetic SNPs so we KNOW what each individual’s metabolic weaknesses are. For instance, we will know what form of B12 would be best for delivery by looking at your nutrigenomic report ,” explained Kara. This lab test that Dr. Stewart has created is called Genomix Nutrition. The test is a simple cheek swab, just like PGx. The test is shipped off to the lab and comes back in a report form that details 26 SNPs that Dr. Stewart has hand selected. This report is backed, using Pathagility’s lab reporting technology. 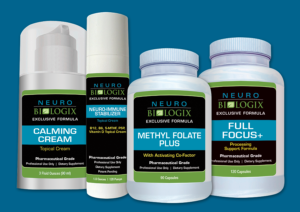 Neurobiologix, unlike some of its supplement rivals, is FDA monitored, meaning what’s on the labelis actually in the supplement and is listed as the absorbable amount. The company specializes inpharmaceutical grade, GMP Certified supplements that are designed by top US physicians. The products are carefully crafted with all the necessary cofactors to improve nutritional delivery and each formula is hand selected by a team of advising physicians and medical experts. Micaela Vargas (Micki) has a PhD in cell and molecular biology. Part of her work as a Doctoral student at the University of Texas at San Antonio (UTSA) was identifying and characterizing novel anthrax toxin receptors and analyzing these genes in patient-specific prostate cancer. Her research project encompassed molecular biology, cell biology, and molecular genetic techniques and applications. She graduated with a PhD and did her postdoctoral fellowship at the University of Illinois at Chicago (UIC) in regenerative medicine specifically utilizing stem cells as a therapeutic application for cardiovascular disease and lung injuries. In addition to her independent projects, she managed the molecular biology (PCR) core in the Department of Pharmacology. Many of the platforms she was using at that time are currently being used in labs today. And because of that, Micki understands and knows the market well as far as instruments, applications, reagents, and what clinical tests are needed. When Micki made the move several years ago to San Antonio where she currently lives, she built a highly successful Pharmacogenomics (PGx) company. Micki built the lab, pulling from her vast array of experiences and her expertise in molecular biology and diagnostic work. She designed the lab, and at the same time developed a novel clinical diagnostic test for pregnant women who may have an inherited gene(s) for Cystic Fibrosis (CF). The current CF tests are invasive blood draws and or amniocentesis. Similar to PGx testing, CF is a simple buccal swab designed to test pregnant women and assess their genetics to determine if the fetus tests positive for CF. In addition to PGx and CF tests, Micki partnered and collaborated with a Key Opinion Leader (KOL) and developed a nutrigenomics panel, specifically for patients that have familial or show signs of mental health disorders. For the past 3 years, Micki has served as an independent consultant helping academic laboratories, industry, and clinical startups with test methods, development of new ideas/technologies, designing experiments, innovation, collaborations, and build outs according to clientele needs. Many startups don’t have any experience with building labs, specifically molecular laboratories. So Micki helps to build out ideas and understand future goals of the company. Some of these labs have been established for some time, wherein she helps their team beyond just PGx testing (such as next generation sequencing (NGS), oncolytics, and infectious disease). Reimbursements & Coding – For genomics labs, there were major changes in billing codes this past Fall, which can be very stressful transition for labs. Especially important for for-profit companies, your lab needs to ensure you are using the correct ICD codes for reimbursements. Micki encourages molecular labs (PGx, NGS) to check out the federal government resources, such as seminars and education events, to learn more about the new ICD codes and tests these are associated with. Other resources include, societies such as the Association of Molecular Pathology (AMP) and College of American Pathologists (CAP) that are also up to date with any changes, technologies, and advancements in testing. How should PGx/Genomics Labs Prepare For Changes? Right now, PGx is a very hot topic across the healthcare space and because of this, many labs are adding pharmacogenomics in addition to other testing platforms. Being part of the PGx and molecular diagnostic community, Micki advises that it’s important to not just focus on one testing panel – your lab needs to be diverse, otherwise you will be quickly outrun by more agile labs who have more resources and more testing capabilities. NGS has been around in basic research for a while, and the crossover clinically has been gaining popularity. Because NGS is a powerful molecular biotechnology, Micki advises clinical labs to invest in these platforms. Micki also notes that many Pgx labs will join together with toxicology labs, which helps both diversify their offerings. A Pgx lab may not be suited for a tox lab and vise versa, so these labs will join together and do each other’s testing to broaden the amount of tests they can run. What Are the Most Important Technologies a Lab Can Adopt? A LIMS and Reporting Platform: It’s important for labs to be on the cutting edge of technology. Not only does it equip labs to be more efficient and reduce errors, but many technologies help to improve the patient experience directly. Micki advises that labs adopt a LIMS system like Pathagility first and foremost. Streamlined processes is one of the main improvements a lab needs to invest in, and a LIMS system is the first step in doing so. According to Micki, Pathagility is a great technology platform as the LIMS and Reporting software can organize lab, accessioning, and reporting to the specific lab, and branding is tailored and custom to represent the lab’s identity. Robots & Liquid Handlers: In addition, one thing very important for scaling samples and high-throughput is using robots or liquid handlers (such as Hamilton, which has been the forefront of liquid handling and are in many Tox and Pgx labs across the country). These liquid handlers streamline everything in terms of handling the material. The consequence of not using this type of technology is an increase of errors, longer turnaround times (TAT), and rerunning samples. In Micki’s spare time, she is a huge advocate for women in science – especially girls that are just learning about science in the classroom at school. Micki belongs to an organization called “Women in Bio” (WIB), an organization to empower entrepreneurship of women in STEM (Science, Technology, Engineering, and Math), including career development and building each other up – no matter each individual’s level of seniority. Micki is Co-Chair of the Young Women In Bio (YWIB) where she spends much time volunteering in lower socioeconomic schools, science fairs, mentoring, outreach, and putting on discussions and STEM educational opportunities. More than five years ago, in a “Lab of the Future” supplement for Advantage Business Media, more than half (55%) of the respondents to a reader survey indicated that the most important technical issue in future lab design was “right sizing” of the lab. Four years ago, a similar survey found that bench space — a derivative of size — was indicated as the most important issue (66%). In another survey performed, cost had leapt to the lead (59%), while lab size (27%) had fallen and technology advancements took the lead as the more important issue and change needed in the future. While the current criteria chosen for the lab of the future is very much a factor of the current environment, the results are also a factor of how fast and what technologies are changing. Laboratory automation and the growing advancements in technology have transformed the typical workday for many labs and lab staff. Thanks to the creativity, imagination, and hard work of researchers and companies in the lab field, lab staff can set up, run, and analyze the results of tests in a fraction of the time they needed in the past. They can also accomplish the tasks with less hands-on intervention than ever before. As a result, technicians who used to spend their days performing tasks of tedious repetition now have more time to think creatively about the implications of their work. While the lab industry has indeed made significant advancements in the past years, it’s important to remember how fast those changes happened. While they may not have happened overnight, they certainly happened quickly — and labs that did not embrace new methodologies or technology were left in the dust. As innovation continues to happen in the lab, we believe more than ever before, technology — and not just lab instrumentation — will play an increasingly important role as labs strive to get better at what they do, and stay competitive for the sake of the patient and the healthcare industry as a whole. So what kinds of changes do we see happening in the next 5 years? Download the entire ebook to learn about these 5 technology predictions. What are you predicting lab technology will look like in 5 years?